Field marshal (or field-marshal, abbreviated as FM) (UK pronunciation: i/fiːldˈmɑːʃəl/, US pronunciation: i/fildˈmɑːrʃəl/) is a very senior military rank, ordinarily senior to the general officer ranks. Usually it is the highest rank in an army, and when it is, few (if any) persons are appointed to it. It is considered as a five-star rank (OF-10) in modern-day armed forces in many countries. The exact wording of the titles used by field marshals varies: examples include "marshal" and "field marshal general". The air force equivalent in Commonwealth and many Middle Eastern air forces is marshal of the air force (not to be confused with air marshal). Navies, which usually do not use the nomenclature employed by armies or air forces, use titles such as "fleet admiral," "grand admiral" or "admiral of the fleet" for the equivalent rank. As military commander of the Northern Alliance, Fahim captured the Afghan capital Kabul in the fall of 2001 from the Taliban government. In 2004 President Hamid Karzai provided Fahim the honorary title Marshal and a year later he became member of the House of Elders. He later became a recipient of the Ahmad Shah Baba Medal. Fahim was a member of Afghanistan's Tajik ethnic group. He was affiliated with the Jamiat Islami (Shura-e Nazar) party of Afghanistan. Sir Thomas Blamey was the first and is the only Australian-born field marshal. He was promoted to the rank on the insistence of the Australian prime minister, Sir Robert Menzies, in 1951. Blamey was, at the time of his promotion, seriously ill and mostly bed-ridden in the Heidelberg Repatriation Hospital. He was presented with his field marshal's baton at a ceremony held in the sunroom at the Heidelberg Repatriation Hospital by the Governor-General of Australia, William McKell. Blamey died three months later. Blamey's field marshal's baton is on display in the Second World War galleries at the Australian War Memorial in Canberra. Currently, the only Australian field marshal is HRH Prince Philip, Duke of Edinburgh, who was promoted to the rank of field marshal in the Australian Army on 1 April 1954. During Imperial rule in China, different dynasty gave different titles to generals. A very similar title is “司馬” (sima) in Eastern Han dynasty, which literally means "master of horse", and later became a two-character surname too. “司馬” is one of the Three Excellencies in Eastern Han, who is in charge of the country's military affairs. After the People's Republic of China was established in 1949, it has promoted 10 military commanders to the rank of marshal, all in 1955 and abolished in 1965. Since then, the rank has remained defunct. Egypt military history had 8 field marshals. currently there are two field marshals living; ex military chief Mohamed Hussein Tantawi and President Abdel Fattah el-Sisi. Previous field marshals are Abdel Hakim Amer, Mohamed Abdel Ghani el-Gamasy, Ahmad Ismail Ali, Ahmed Badawi, Mohammed Aly Fahmy and Abd al-Halim Abu Ghazala. In the French army of the Ancien Régime, the normal brigade command rank was field marshal (maréchal de camp). In 1793, during the French Revolution, the rank of field marshal was replaced by the rank of brigade general. 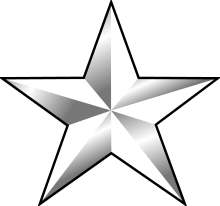 The rank insignia of field marshal was two stars (one-star being used for a senior colonel rank). The French field marshal rank was below lieutenant-general, which in 1793 became divisional-general. In the title maréchal de camp and the English "field marshal", there is an etymological confusion in the French camp between the English words "camp" and "field". Generalfeldmarschall (English: general field marshal, field marshal general, or field marshal / listen , abbreviated to Feldmarschall) was the most senior general officer rank in the armies of several German states. In the Habsburg Monarchy, the Austrian Empire and Austria-Hungary, the rank Feldmarschall was used. Stratarches (Greek: στρατάρχης, pl. στρατάρχαι (archaic) or στρατάρχες (modern)), means ruler of the army in Greek, and is a title associated with successful generals. In modern Greek usage, it corresponds to the rank of Field Marshal. Field marshal is the highest attainable rank in the Indian Army. It is a ceremonial/ war time rank.There have been two Indian field marshals till date. Sam Manekshaw, the 8th chief of staff of the Indian Army in 1969, was the first Indian officer to hold the rank. The other was Field Marshal Kodandera Madappa Cariappa, who was elevated to the five star rank in 1986. Marshal of the Indian Air Force Arjan Singh, is the only officer of the Indian Air Force to be promoted to five-star rank, equal to a Field Marshal, to which he was promoted in 2002. With the death of Field Marshal Sam Manekshaw in June 2008, he is the only living Indian military officer with a five-star rank. 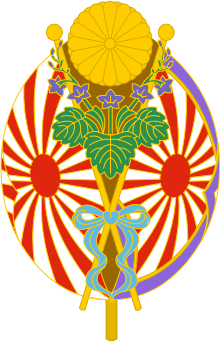 A field marshal's insignia consists of the national emblem over a crossed baton and saber in a lotus blossom wreath. The rank "Field marshal" in Indonesia is known as Jenderal Besar (Grand General). Historically and to this day, only three well known leading men have earned this rank which were: General Sudirman, Abdul Haris Nasution, and Soeharto. This 5 star rank is symbolically the highest rank in the Indonesian Military and is a sign of great honor of, from and to the Armed Forces of Indonesia. Until the end of World War II, Japan also bestowed the honorary title of field marshal (元帥 gensui) on successful generals and admirals; they would however retain their ranks of general and admiral. 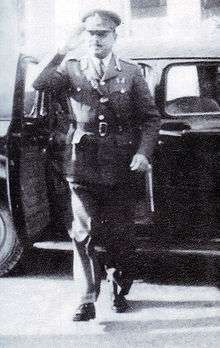 Field Marshal Muhammad Ayub Khan has remained the only field marshal in the history of Pakistan Army to date. He appointed himself as a field marshal when he was the second president of Pakistan, as well as the commander in chief of the army. When Brazil became independent from Portugal in 1822, the Portuguese system of ranks was maintained by the Brazilian Army, including the rank of marechal de campo. In the second half of the 19th century, the rank of marechal de campo was replaced, both in Portugal and Brazil, by the rank of general de brigada (brigade general). This last rank still exists today in the Brazilian Army, but corresponds to the present rank of major-general (major-general) in the Portuguese Army. In Serbian field marshal can be translated as vojvoda (Serbian: Бојни Војвода). It was the highest rank in the army of the Kingdom of Serbia and Kingdom of Yugoslavia until the Second World War. It was created with the passing of the law on the Organization of the Army of the Kingdom of Serbia in 1901. The law was passed on the suggestion of Lieutenant Colonel (later Divisional General) Miloš Vasić who was minister of defense at the time. The rank was awarded only during the war for particular military contributions of top generals. In the Balkan Wars and World War I this title was used to designate the highest military rank in the Serbian Army (above general - the equalent of field marshal in other armies). The first vojvoda was promoted by a great military decree of the Kingdom of Serbia on 20 October 1912. Only four people ever officially held that military rank: Radomir Putnik (attained the rank in 1912), Stepa Stepanović (1914), Živojin Mišić (1914) and Petar Bojović (1918). The Montenegrin General Janko Vukotić (1915) and the French General Louis Franchet d'Espérey (1921) held the rank as an honorary title. During the World War I for a time, general Petar Bojović held the position of Chief of Staff of the Supreme Command (the highest military position in the Serbian Army) and was a superior to two army commanders who were field marshals (Stepa Stepanović and Živojin Mišić). Before this rank was introduced, the highest rank in the Kingdom of Serbia was army general. After Second World War, the newly formed Yugoslav People’s Army stopped using the royal ranking system, so this rank ceased to exist. Field Marshal Sarath Fonseka is the first field marshal of Sri Lanka. He was promoted to the position on 22 March 2015 as a recognition of his extraordinary contribution to Sri Lanka's war victory over LTTE as the army commander. In the Royal Thai Army the rank of Field Marshal or Chom Phon (Thai: จอมพล, จอมพลทหารบก) was created in 1888, together with all other military ranks along western lines by King Chulalongkorn. Until the first appointment in 1910, the rank was reserved solely for the reigning monarch. Currently the rank is in abeyance. In the Turkish Armed Forces, the corresponding rank is mareşal. The rank of mareşal can trace its origins to the Ottoman Empire and to the military of Persia, where it was called "مشير" (müşir) and bestowed upon senior commanders upon order of the ruling sultan. The rank of mareşal can only be bestowed by the National Assembly, and only given to a general who leads an army, navy or air force successfully in three battles or at various front lines at the same time, gaining a victory over the enemy. Only two persons have been bestowed the rank mareşal to date: Kemal Atatürk, the founder of modern Turkey, and his Chief of Staff Fevzi Çakmak, both for their successes in the Turkish War of Independence. The United States has never used the rank of field marshal; however, General Douglas MacArthur was field marshal of the Philippine Army from August 24, 1936, until December 31, 1937. On December 14, 1944, Congress created the rank of "general of the army," a five-star rank equivalent to that of field marshal in other countries. Two days later, George Marshall was promoted to this rank, becoming the first five-star general in American history. A Washington columnist suggested (with tongue in cheek) that Marshall disliked the plan because five stars was the rank of field marshal and the Chief of Staff could then be addressed as "Marshal Marshall." ↑ The equivalent of a Generalfeldmarschall in the German navy was Großadmiral (grand admiral). The rank of Generalfeldmarschall was abolished after the fall of Nazi Germany in 1945. Wikimedia Commons has media related to Field marshals. ↑ "Great Turkish Dictionary". Turkish Language Association. Retrieved 1 August 2009. ↑ "Eisenhower Memorial Commission - The Story Behind Ike's Fifth Star". Eisenhowermemorial.org. Retrieved 2012-05-14.